In the many modern efforts to revive polytheistic religion and reconstruct support and structure the topic of the place of ‘magic’ comes up often. I have written about the relationship between magic and Pagan religion quite a bit, here and here and throughout the blog in various ways. Some branches and thinkers in the effort to restore traditional-style ethnic or post-ethnic Pagan work have chosen to side with certain ancient Greek philosophers in denouncing practical magic as ‘impious’ – that is as disrespectful to the gods and improper for a true worshiper. This late-classical attitude was also present in Roman culture, and was inherited by Roman institutional Christianity despite the strong element of ritual magic, healing and exorcism in early Christianity. However my own observation of both historical and living polytheisms is that the skills and methods that have come to be identified as ‘magical’ or ‘occult’ are usually an integral part of traditional spiritual practice. Ritual invocation or ‘summoning’ of both deities and of non-deity spirits for practical goals; making of talismans and consecrated blessing and power objects; divination and astrology; mystery initiation; all these things are present in the polytheism of modern Asia and Africa. It was equally present in the spiritual practices of what we know of pre-Christian Europe. It was precisely this category of esoteric (i.e. likely to be used by the few, comparatively) spirit-based, ritual and occult practice that became forbidden to lay people by the ruling Church, designated as ‘Magic’ or ‘sorcery’, and especially associated with the heresy that became thought of as “devil worship”. In many cases the earthy, elemental, and Underworld spirits often called on for practical magic became ‘demons’ in the Christian re-arrangement of traditional magic. These practices inside traditional Pagan religions can fairly be called “occult”. They are ‘hidden’, often enough, from public sight by the requirements of specialized spiritual work. They also can be said to deal with ‘hidden’ forces and powers of nature and spirit, from herbs and stones to the conjuring of spirits. It is also true to say that these practices are ‘esoteric’. They are ‘for the few’ – usually those who conceive a hobbyist’s level of enthusiasm for them, though the occasions of life might lead any Pagan person to seek help in these ‘magical’ techniques. Even then they might consult a more skilled practitioner – one whose enthusiasm has made them familiar with what amount to ‘spells’ and arcane works. Simply put, traditions of occult and esoteric spiritual practice (i.e. ‘magic’) are integral to a fully-expressed polytheism. I have always made spellcraft and practical applications a part of my own spiritual practice and of my teaching. To me one of the blessings of modern Paganism is that it grants the individual spiritual agency, and gives us specific technical tools by which we can use spiritual methods to influence and improve our common lives. At the most ‘religious’ end the methods of traditional theurgy allow us to bring the power of the divine into our temples and lives in and as a god or goddess. Those who enjoy surrender mysticism can simply accept the Blessing of the Powers and proceed in hope of good fortune. Those more inclined to tinker can employ divination and foresight to decide what they want, and then employ the Powers and Spirits to shape fate. This is not as easy to do as to say – like managing the flow of water down a hill, or the course of a wildfire. Clear observation, clever planning and skilled application of tools are the rules whether in land-shaping or planning a spell-working. Nevertheless our custom and tradition provides a wealth of traditional spellcraft forms that can be adapted to modern use. And so TA-DA! - my little book of spells. This item came to mind after those posts on spirit-arte last month, and the back portion of the book is about spirit-summoning in a Pagan fashion. The other major themes are ‘enchantment’ – the consecration and empowerment of objects and places; ‘invocation’ – with a limited list of deity images and invocations; and some mixed charms and spells. A little of the content is reprint, but most is new or heavily rewritten content for this small edition. Those who have read my previous work will find this short, streamlined, and utterly focused on practical outcomes. There is attention payed to the work of building power and authority for the magician, but it is always directed to practical goals. I feel confident in claiming that this work has been made almost entirely distinct from post-Wiccan ritual and the Hermetic cosmos. It is constructed in a ‘Triadic’ cosmos that should be comfortable for many Euro-style reconstructionists. Ritual forms are based around Ritual Fire and Water, and around Offering to the Spirits, both gods and non-deities. I have attempted to render the ritual texts in a simple, ‘folkloric’ style, often using rhyme, that allows rites to be set-up and established quickly and with little ‘high-temple’ furniture or complication. Nevertheless the more developed end of the rites – the formal summonings – use a solid and more detailed outline of technique. The whole style would be most at home in a well-developed home-shrine. 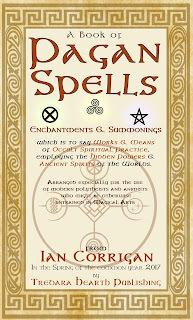 For Druids, ADFers and newer Pagans looking for a practical magical craft that fits with their practice, I hope this book will push the button. For those looking for a modern, polytheist-and-animist approach to both spellcraft and building relationship with the spirits this book may be a key. For those looking for practical magic they can apply to their lives right now, I hope this book can be a blessing. A Book of Pagan Magic; which is to say works and means of Occult Spiritual Practice employing the Hidden Powers and Ancient Spirits of the Worlds Arranged especially for the use of modern polytheists and animists who might be otherwise untrained in the work of Magic Art. 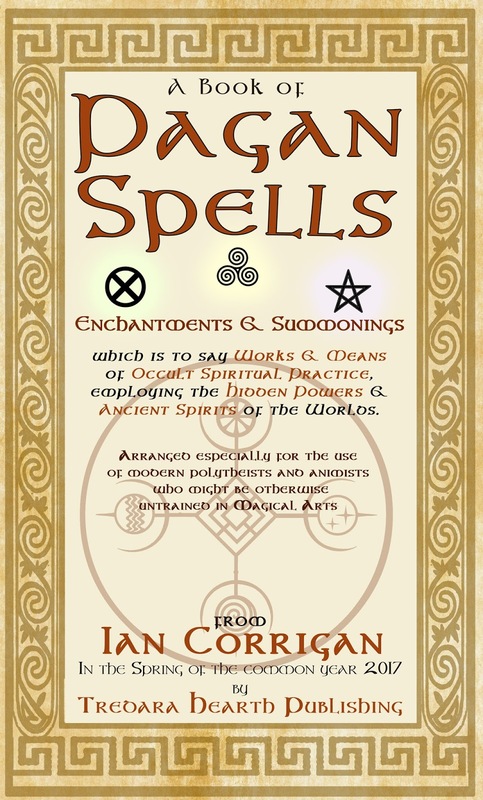 A modern spellbook, based on Pagan roots without reference to Wiccan or Hermetic models; it should be useful to anyone working an ethnic Pagan system. 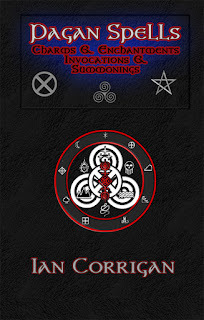 Concise, meaty and thoroughly practical, The Book of Pagan Spells is an open door to powerful magic. ... And the link to purchase. P.S. I have also re-issued my old monograph called Beginning Practical Magic at a lower price. 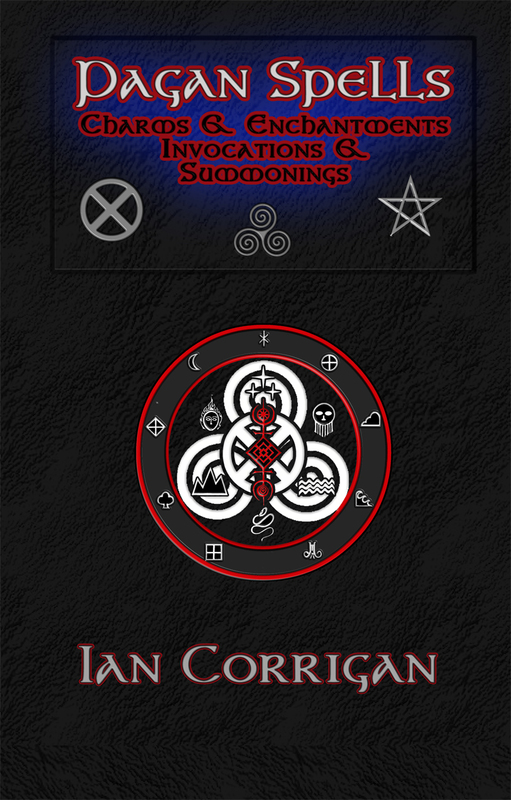 That text has a lot of the theory that isn’t in the spellbook – developing intent, targeting, the magical link, materia and correspondences, and is still speaking to the Wiccan and Hermetic cosmos. Will this book be available on Amazon?